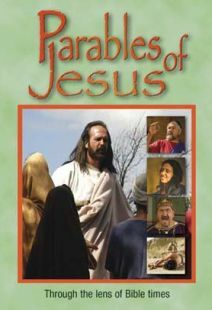 Parables of Jesus -- Here are seven short dramas portraying the parables of Jesus through the lens of Bible times. They are stories that never grow old! 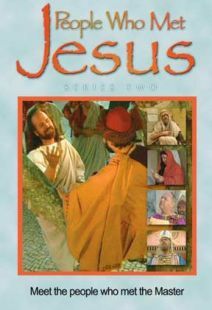 In this DVD you will see the Bible come alive, understand the customs and culture behind the parables, and feel the impact of Jesus' message. A wonderful resource for Bible study, small groups and Sunday school. 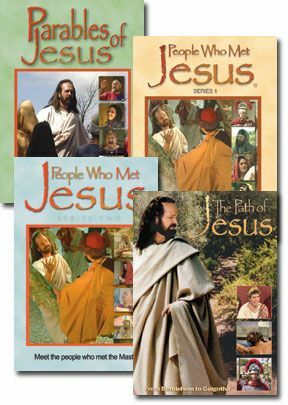 People Who Met Jesus - Series I -- In the Gospels the main story is the life of Jesus, but there are smaller stories about fisherman and Pharisees and tax collectors. This is a series of eight short stories about people who met Him. 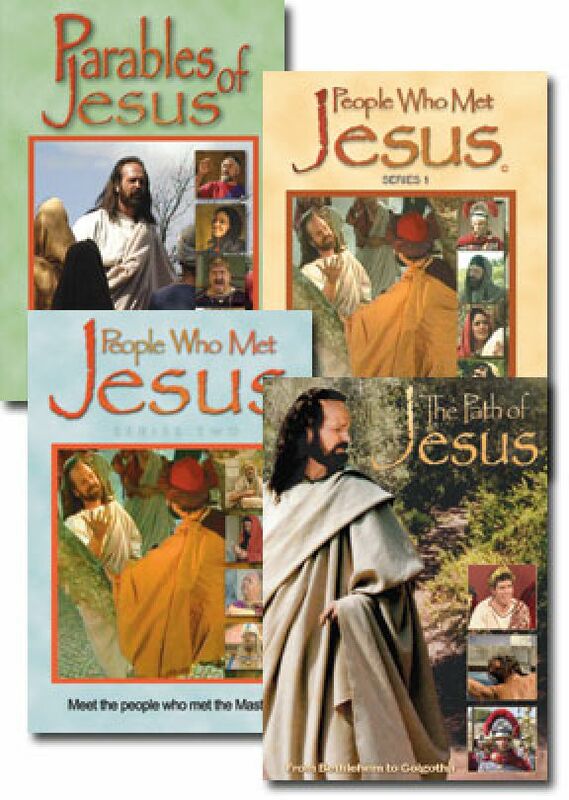 People Who Met Jesus - Series II -- These are the stories of eight people who met Jesus. Three of them became His disciples, and five of them rejected Him, but all of them were impacted by His life and message. They are very different personalities and each one has something to teach us. 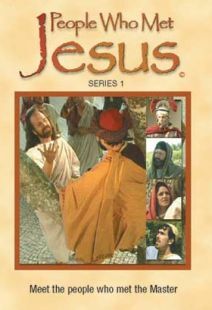 Path Of Jesus -- Seven short dramas of the life and teachings of Jesus. 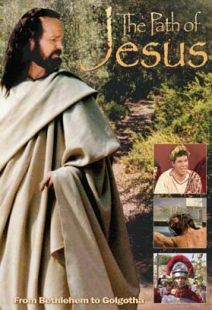 In this DVD you will see the Bible come to life. Follow the path of Jesus from Bethlehem to Golgotha and beyond. These are revealing moments and turning points in His life and ministry. You will also see three of the parables which show the values Jesus brought to His mission and to His disciples. All through the lens of Bible times. A wonderful resource for Bible study, small groups and Sunday School. The best video. This is the best parables of Jesus. You will love the stories seen in this video. Never get tired of watching, I highly recommend this video. The 4 dvds are a bargain.